Researchers found the active ingredient in tooth whiteners can eat away at the material covering the sensitive structures of the tooth. 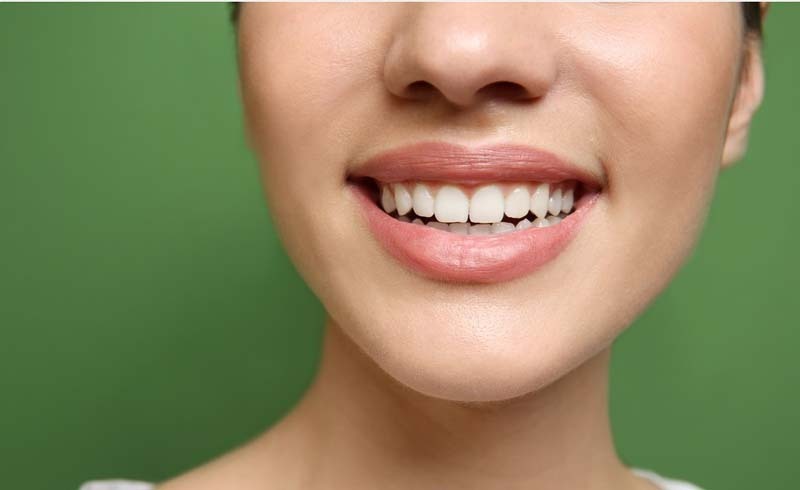 The very product you are using to whiten your teeth may be damaging them, a new study suggests. In three experiments, researchers found the active ingredient in tooth whiteners, hydrogen peroxide, can eat away at dentin, the material right below the protective enamel and covering the sensitive structures of the tooth, according to the reports presented at the annual meeting of the American Society for Biochemistry and Molecular Biology. Earlier studies showed hydrogen peroxide can penetrate through enamel, said Kelly Keenan, a co-author on all three studies and an associate professor at Stockton University. While other researchers have looked at the impact of the chemical on enamel, “nobody had looked at how it affects the proteins in the dentin,” Keenan said. The main protein in dentin is collagen, so Keenan and her colleagues focused much of their attention on how hydrogen peroxide impacts it. An experiment in which teeth — not attached to a human — were treated with hydrogen peroxide was quite enlightening. “With one round of hydrogen peroxide, the collagen went down about a third and with three, it was down to less than 50 percent, Keenan said. Apparently, the hydrogen peroxide causes the collagen in dentin to break down into small fragments, the New Jersey researcher said. Keenan and her colleagues also ran an experiment in which they took tooth-derived collagen and exposed it to hydrogen peroxide. “It completely disappears,” she said. What the researchers don’t know yet is whether dentin damaged in this way can regenerate, Keenan allowed. Keenan said she became interested in the effects of hydrogen peroxide on dentin after using a whitening product herself. “It made my teeth sensitive,” she said. Dr. Lee Gause, a dental professor, wasn't surprised to see hydrogen peroxide would have an impact on dentin. Rosie O'Donnell has a sleek pixie haircut — see her new look! For example, Gause said, if you use a loofah while bathing and then look at the sponge under a microscope, you’ll see skin cells on it. But that doesn’t mean you can’t get into trouble with tooth whitening. That’s because dentin is the final barrier between the outside world and the tooth’s nerve. The smaller amount of dentin there is, the more sensitive the tooth.